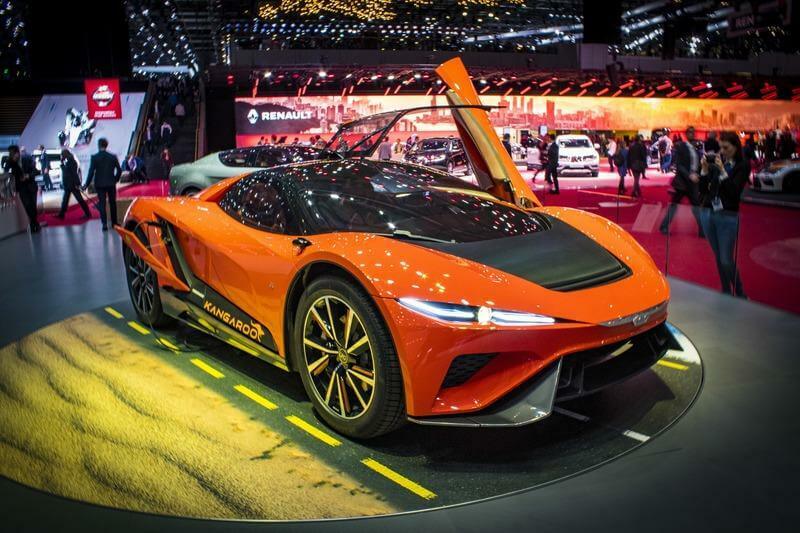 Geneva Motor Show 2019 was no doubt an incredible show, featuring lots of incredible cars around the world like Koenigsegg Jesko, Ferrari F8 Tributo, and Aston Martin AM-RB 003. 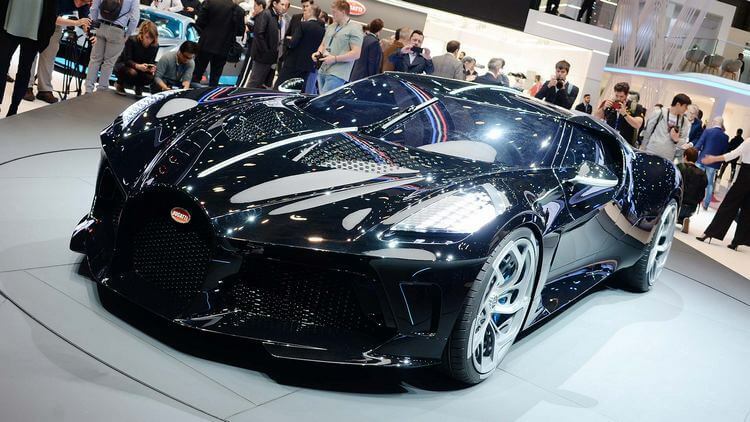 And so with no further ado, let’s check out the top 10 cars of Geneva Motor Show 2019! This exclusive “one-off” Bugatti is homage to the classic Type 57SC Atlantic, a car built by Ettore Bugatti’s eldest son – Jean Bugatti himself. Despite the car was lost during the Second World War, its aesthetic spirit still passes on from generations to generations. Aside from that, this all-black Atlantic homage is also a beast in every way possible, featuring a crazy powerhouse of 1,500 horsepower and 1,180 lb-ft of torque. And as we mentioned, this is the “one-off” exclusive Bugatti, which was already bought by a mysterious “Bugatti enthusiast” at the price of $19 million after taxes ($12.5 million base price). Koenigsegg is undoubtedly one of the leading companies in automobile industry. Each of their creations always brings something new to the table and thus, all of them are insane monsters in their own right. And in Geneva Motor Show 2019, Koenigsegg has introduced their next step of evolution: the Koenigsegg Jesko. This insane megacar is said to be able the new successor of the Agera RS as a track-focused, road-legal car with extreme performance. It is even speculated to be capable of surpassing 300-mph of top speed! 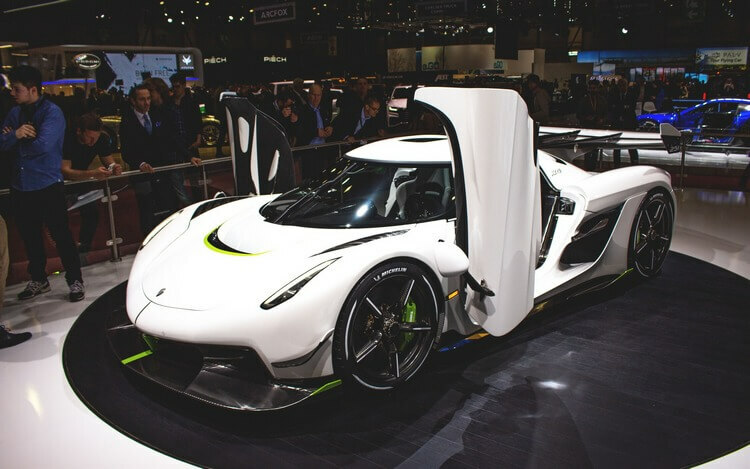 In terms of the name “Jesko”, it actually comes from Christian von Koenigsegg’s father – Jesko von Koenigsegg who has dedicated all of his wealth and effort to support his son. One of Aston Martin’s most anticipated creations is the Aston Martin Valkyrie – Aston Martin’s first hypercar with insane performance. 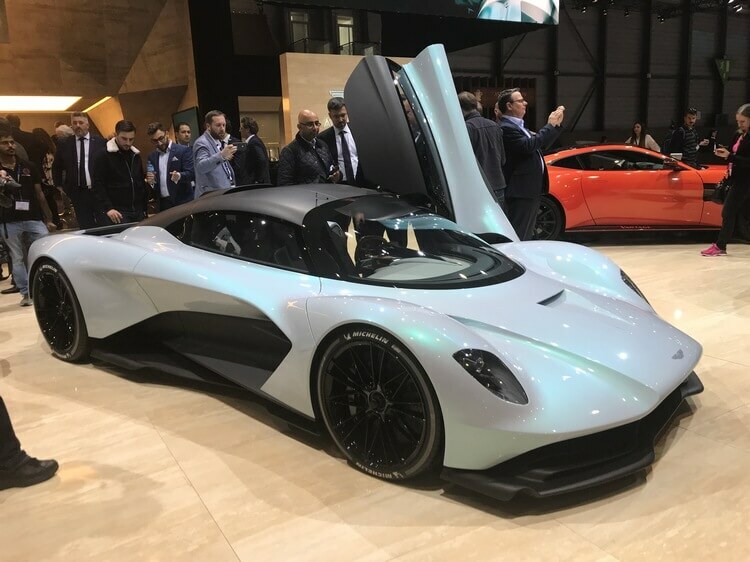 But just when we thought that was the only thing Aston Martin brought on the table, the company revealed their next trump card: Aston Martin AM-RB 003 which is expected to be a rival to the likes of McLaren Senna. Judging by its design, we can clearly see a strong resemblance to the Valkyrie. And although the AM-RB 003 will not be as extreme as the Valkyrie, it is still promised to be one of the fastest cars in the market. With the reveal of Aston Martin Valkyrie, AM-RB 003, and the upcoming Vanquish Vision, Aston Martin is definitely on a roll this year and we can’t wait to see these “god-like beings” in action. 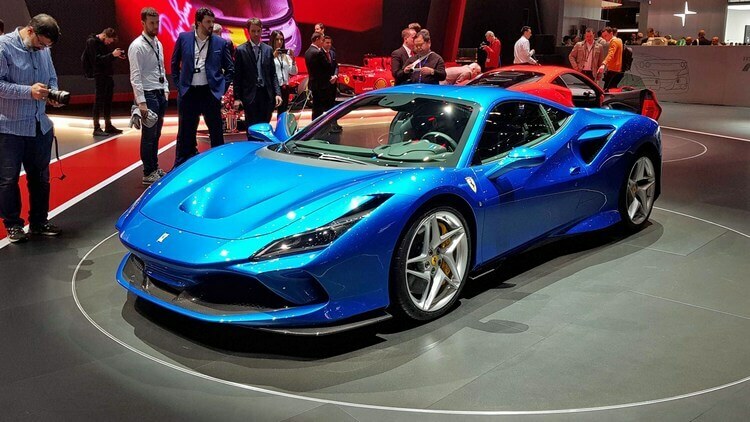 Despite having a really impressive visual design, Ferrari F8 Tributo is actually not a brand new car but rather, a replacement / an upgrade to the 488 GTB. But do not let that disappoints you, not only the F8 Tributo has a fresher facelift; it actually gets various major upgrades underneath that hood. And what about the name “F8 Tributo”? It is in fact a tribute to the powerful 3.9-litre V-8 engine. Those who are into automobile industry definitely know the name “Pininfarina” – the world’s most famous automobile design company. Now, they officially jump into the automobile manufacture business by introducing their new branch: Automobili Pininfarina GmbH. 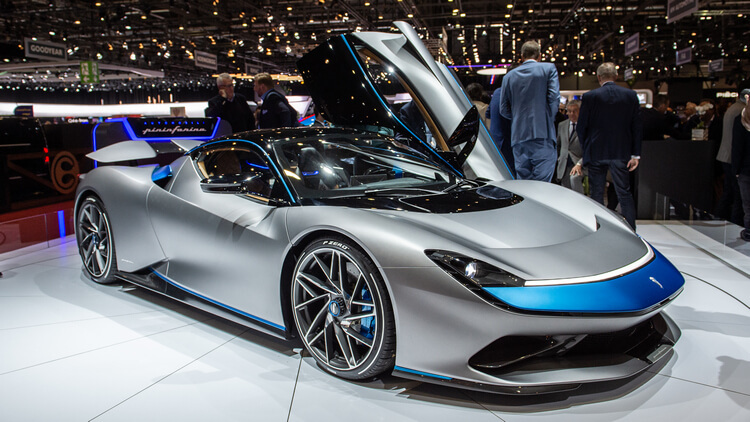 And in Geneva Motor Show this year, they finally revealed their very first work: “The World’s First Pure Electric Luxury Hyper GT” – Pininfarina Battista. Right off the bat, we have to admire how sleek and elegant the design for Pininfarina Battista is. In addition, it is also expected to possess a tremendous performance with 1,900 horsepower, 1,696 lb-ft of torques, and especially the devilish 0-62mph acceleration around 2 seconds! An electric hypercar comes from a famous design company, let us wait and see how it goes in the future. Electric car is gradually becoming more and more popular, and unsurprisingly, it will become the new trend of future car in 2020s. As we can see within the past few years, many companies are already trying to come up with their own EV car design. Audi also does not miss this opportunity and thus, comes the new Audi Q4 e-Tron. As Audi claimed, the Q4 e-Tron can cover quite a long range of over 280 miles’ (or 450km). And also, it can recharge to 80% in just 30 minutes. 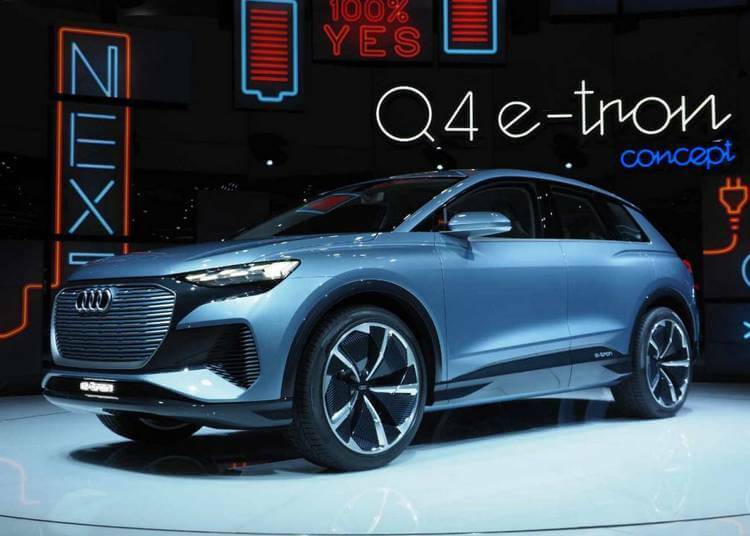 Interior-wise, the Q4 e-Tron is expected to have lots of room for passengers inside, as well as modern design with touchscreen and infotainment screen. Ginetta may not be a well-known name for many people, but the story will be different this year as the company introducing a brand new creation called Ginetta Akula. The car looks extremely aggressive, especially when we look at it upfront. 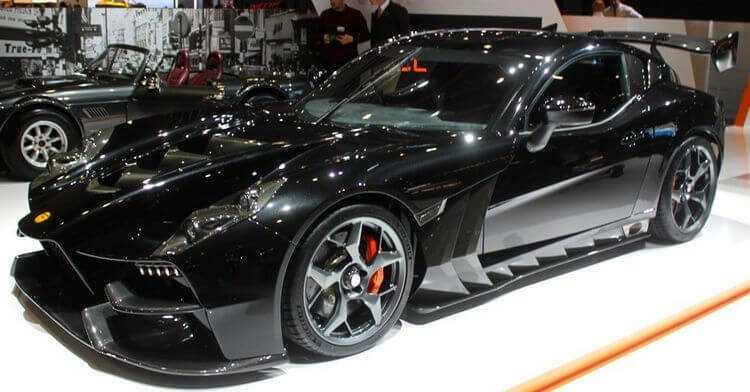 Yet despite that aggressive look, this car is designed to be a practical front/mid-engined coupé featuring an in-house engine and gearbox developed by Ginetta themselves. It can produce 600 horsepower and 520 lb-ft of torque, and on top of all, it can reach 200mph of top speed. There will only be around 30-50 units built per year and the first deliveries are scheduled for early 2020. Continuing the trend of electric car, Honda continues to reveal their latest concept for future EV: Honda E Prototype. Frankly speaking, this cute EV already looks ready to steal the Westerners’ hearts. It looks sleek, compact, and highly practical. Coming inside, the car looks even more impressive especially with its four massive digital displays. 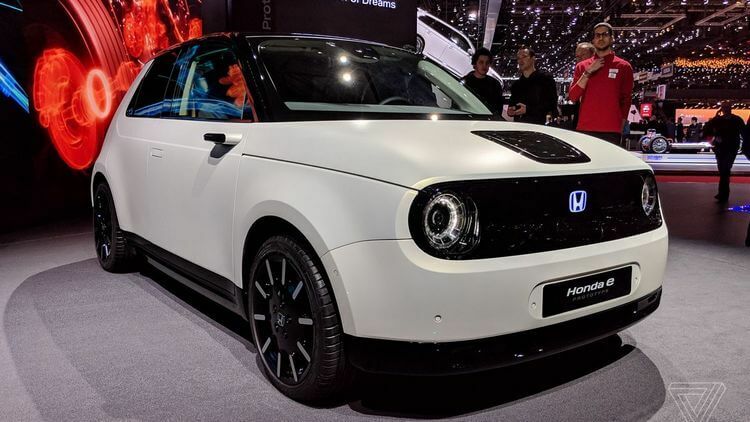 While the Honda E Prototype may look too good to be true, given Honda’s good track record of bringing concept car to life, we can bet to see the Honda E Prototype real soon the near future. Like Ginetta, Rimac Automobili may not be that well-known among automobile industry. 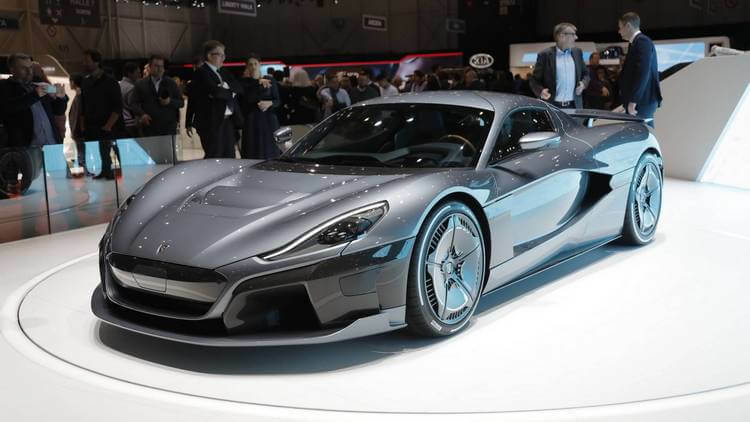 However, their reputation is definitely bound to change when they reveal their latest creation: Rimac C2. In terms of raw power alone, Rimac C2 already astounds many people with its absurd figures of 1,888 horsepower and 1,696 lb-ft of torque. Performance-wise, this electric hypercar can reach the max speed of 256 mph, and even crazier, it is said to be able to hit 60mph in just 1.85 second! Finally to add more value to this already insane package, it will feature Level 4 autonomous capability, which means it can drive itself. Honestly speaking, we don’t know how Rimac can pull this off but definitely, seeing the Rimac C2 in action will definitely be a sight to behold. Being dubbed as the world’s first “hyper-SUV”, GFG Style Kangaroo is a peculiar, yet exciting car at the same time. On the surface, it follows similar concept design of many other supercars like the 2-seater design, wide and low-slung, and the 22-inch wheels. That said, it features a special hydraulic suspension in which it can help the car switch between sports car and off-roader mode with various ride heights from 5.5 inches in “Racing” mode to 10.2 inches in “Off-Road” mode. For this reason, the Kangaroo can drive on almost all types of surface like pavement, mud, or snow. Its interior also features some interesting elements, notably the 3 digital screens: an ultra-wide screen on top of the dash which serves as the rear-view mirror, a digital instrument cluster, and a huge center-mounted infotainment screen. Being in an unique category on its own, the GFG Style Kangaroo has undoubtedly piqued many people’s interest and it can possibly be a new trend in the future. And that’s it folks! Which car is your most favorite in Geneva Motor Show 2019? Feel free to share with us and for now, thank you and stay tune for more news in the future! Bugatti Divo World Premier: When Speed is not everything!